In 2017, New Zealand banned schoolhouse seclusion rooms. 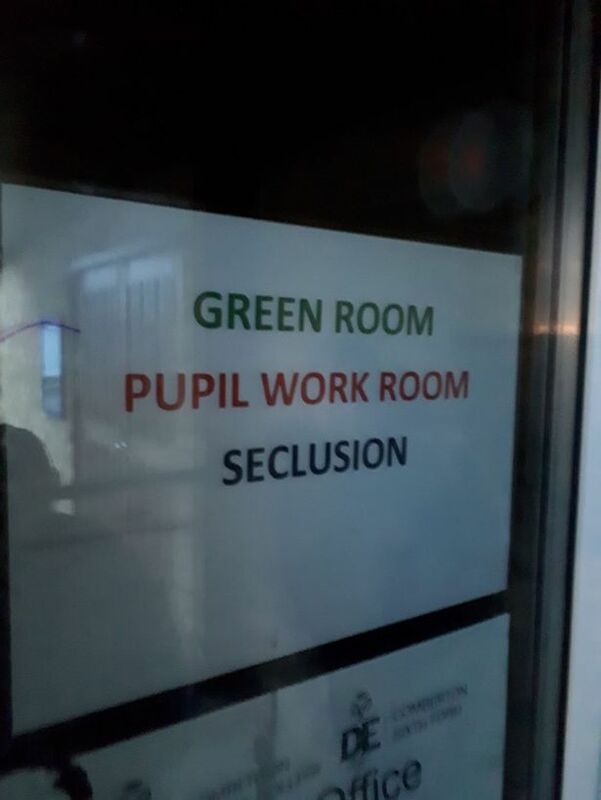 On Friday, a report came out indicating that across England primary and secondary schools are routinely using “seclusion rooms”. The report suggested that both the scale and frequency of use is much higher than expected: “Many schools use them as part of an escalating set of disciplinary measures. Our research found over two-thirds of the country’s largest academy trusts have schools that use some form of isolation, although with varying labels from `inclusion units’ and `consequence booths’ to `time-out spaces’ and `calm rooms’.” The isolation cells are used from the first year. Primary school students can stay in for a day at a time; secondary school students can stay in for five consecutive days. The torture of solitary confinement clothed in the language of inclusion, consequence, time-out and calm is the lesson children across England – and Canada and the United States and beyond – are learning in an age of expanding and intensifying zero tolerance. While A Critique of Pure Tolerance once inspired a generation of activists to action, today we need A Critique of Zero Tolerance. We need it, and, even more, our children and grandchildren need it … now. In August, a report noted that exclusion, or out-of-school suspension, was rampant in secondary schools across England. 45 schools suspended at least 20% of their students, with some schools topping 40%. In September, a follow up report noted the rampant use of isolation booths, variously referred to as “consequences rooms” or “internal exclusion.” The line from “internal exclusion” to alienation to abnegation to death-in-life to lifelong trauma is direct. How many more times must we “discover” that throwing children into seclusion rooms, no matter what they’re called, is wrong? Why do we need to discuss whether the rooms “work” or are too “costly”? What about the cost to children’s lives? What about the cost, as well, to the very concept of education? What does a child learn when exclusion is called inclusion, terror is called calm, and a war on children is called education? We should all be ashamed. Are we? Jamaican Christine Case, 40, died on Sunday at Yarl’s Wood. Nothing to be seen here; move along; just another Jamaican woman in Yarl’s Wood. “One more dead body behind the walls of Britain’s detention centres.” One more dead woman. That’s all. Officially Christine Case died of a massive pulmonary thromboembolism, but fellow prisoners tell a different story. They say Christine Case was denied medical assistance. It’s also been claimed that local National Health Service doctors who offered assistance to distressed prisoners after Case’s death were turned away. Serco runs Yarl’s Wood. 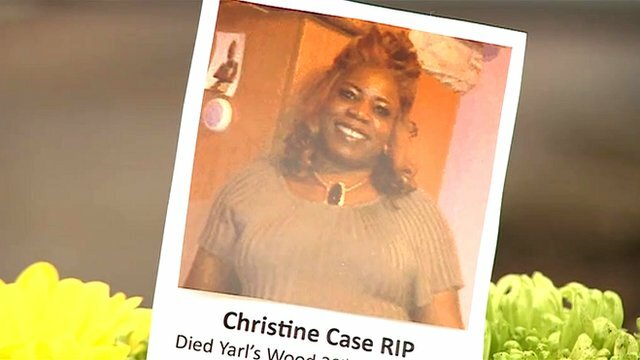 Serco claims they have “24-hour, seven-day urgent medical cover on site at Yarl’s Wood.” And yet … Christine Case is dead. Some say Christine Case called for help, as she was feeling severe chest pains, and that the `care’ she received was paracetamol, a mild analgesic for minor aches and pains. Not for severe pains, and especially not for severe chest pains. People have questions. The immigration minister promises, yet again, yet another investigation. Meanwhile, Yarl’s Wood is in lockdown. Yarl’s Wood is a house of women’s fear and women’s mourning … and women’s solidarity. Four years ago, almost to the day, women prisoners, asylum seekers all, at Yarl’s Wood organized a massive hunger strike. 35-year-old Jamaican asylum seeker Denise McNeil was identified as a `ringleader’, moved to another prison, and placed in solitary. The Yarl’s Wood women hunger strikers took the calculus of violence and turned it on its head. They said they are better than that, they are women, fighters used to fighting, peacemakers used to making peace, and no one decides that it is right for them to be slaughtered. The world paid attention … for a minute. Twenty-one years ago immigration officers killed Jamaican Joy Gardner, 40, as her five-year-old son and her mother watched. What has changed since then? The killing now takes place behind walls and bars. For some, the handling of women asylum seekers at Yarl’s Wood `puts the UK to shame.’ It does, but it does more than that. It shames the world, where this is the allotted fate for far, far too many women. Black women. Immigrant women. Women. A woman died that night. 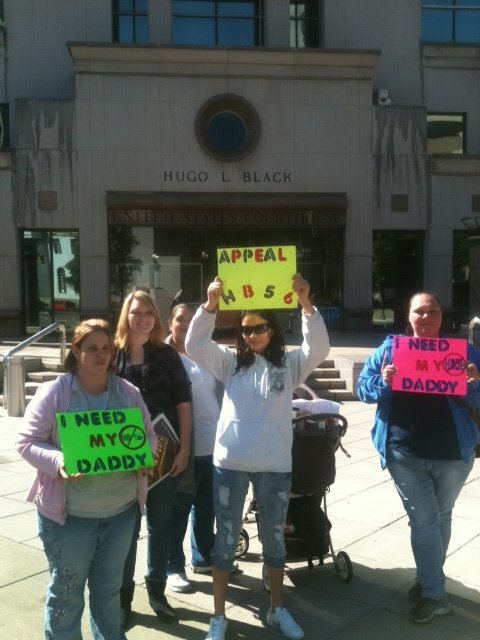 Quite a few women in Alabama are expressing similar concerns. Lana and Jamie Boatwright run a tomato farm on Chandler Mountain, in Alabama. The tomatoes are ready for picking, but the workers have fled, mostly to Florida where the fieldwork is better and, thus far, the laws are less hostile. And it’s not just farmers who are suffering, already, from the culture of the law. Contractors, already squeezed by a deep and long recession, now can’t find workers. Teachers, school nurses and school systems report that the children are beginning to disappear. Foley Elementary School, with a 20% Latina/o population, already reports absences, withdrawals, and, even more, a climate of fear, sorrow, pain and suffering, trauma. Those are children. Not that it should matter but it needs to be said, those are children who are mostly U.S. citizens. What is the name for that curriculum, the one these children experience and study? And the mothers are gathering and organizing, as they do. Mothers who are undocumented residents, like Trini, Erica Suarez, and so many others, are organizing power of attorney for their kids, should “the worst” occur. Mothers with proper papers or with citizenship, women like Rosa Toussaint Ortiz, are agreeing to take care of the children, should “the worst” occur. And activists, women like Monica Hernandez and Helen Rivas, promise to continue to take care of the women, men, children, not to forget, to continue the struggle. What is the name of that system of shame that Alabama is dutifully re-enacting? Some call it slavery, and perhaps they’re right. What would you call that shame, that shameful system, which haunts the United States?